CLIFTON PARK – Shen edged Shaker in a contest between two of the top lax teams in the state on Saturday, April 28, by a score of 9-7. Shen jumped out to a 6-2 lead after one, and then took an 8-3 lead into the half. But the Blue Bison picked up one in the third and cut the lead to one, 8-7, with 7:20 left in the last. 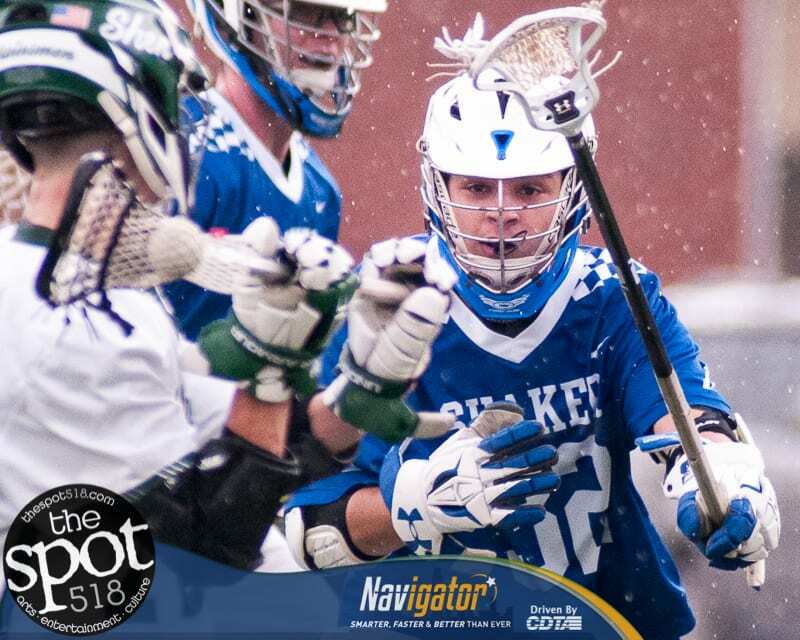 But as the rain came, Shaker could not find the net again and Shen scored the last goal of the game to seal the deal at 9-7. Jack Cheney and Luke Julien each had a hat trick and an assist for Shaker while Aidan Fuerer chipped in a goal. Shen was led by Drew Liguori with three goals and an assist while Dean Cannon had two goals and Jack Hyde and Eric Makhatadze had a goal and three assists each. Shaker will host Colonie and Shen will host Columbia on Tuesday, May 1.